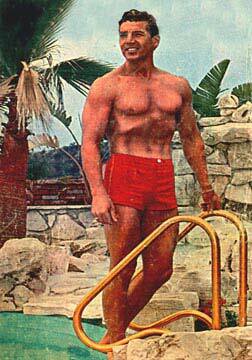 Mickey Hargitay will always be fondly remembered by all Jayne-fans as her most devoted husband. He never stopped loving her. But there was so much more to him than just being “the 2nd Mr. Mansfield”. 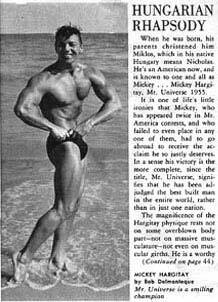 Mickey Hargitay had quite an interesting life. Mickey, Miklos, Zoltan, Jayne and Jayne Marie. 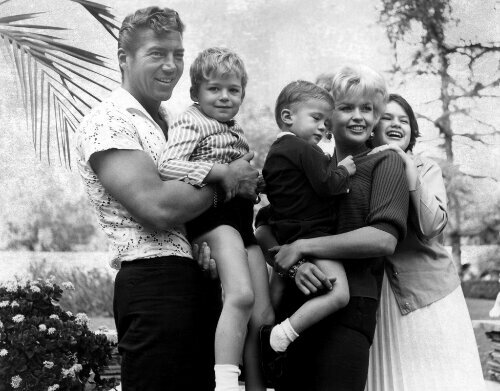 Mickey was a father of four (Tina, Miklos, Zoltan and Mariska) and stepfather of one (Jayne Marie). He was married three times. His most famous child is Mariska Hargitay. Born and raised in Hungary, Hargitay performed in an acrobatic act with his brothers. He also played soccer and became a champion speed skater. Mickey was an underground fighter during World War II. After the war he emigrated to the United States. He found jobs working as a plumber and carpenter. 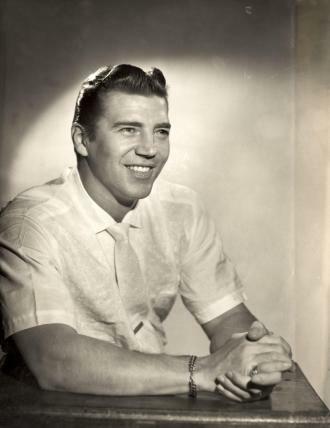 He started out with a successful career as a body builder in the 1950s and was named Mr. Universe, Mr. America, and Mr. Olympia in 1955. Mae West hired him to be one of the musclemen in her stage show: “The Mae West Revue”. 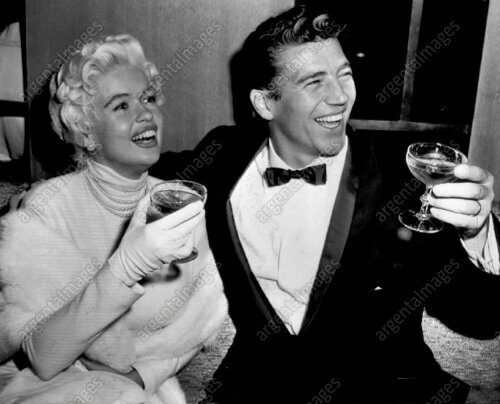 While performing with Mae West at the Latin quarter, Mickey Hargitay met Jayne Mansfeld. 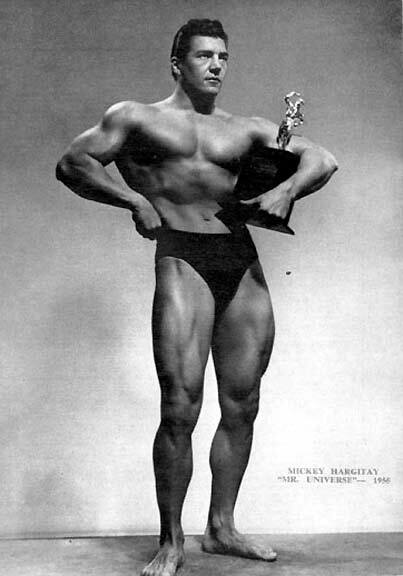 Mickey Hargitay in 1955 when he was appearing onstage with Mae West and fellow muscleman Paul Novak. 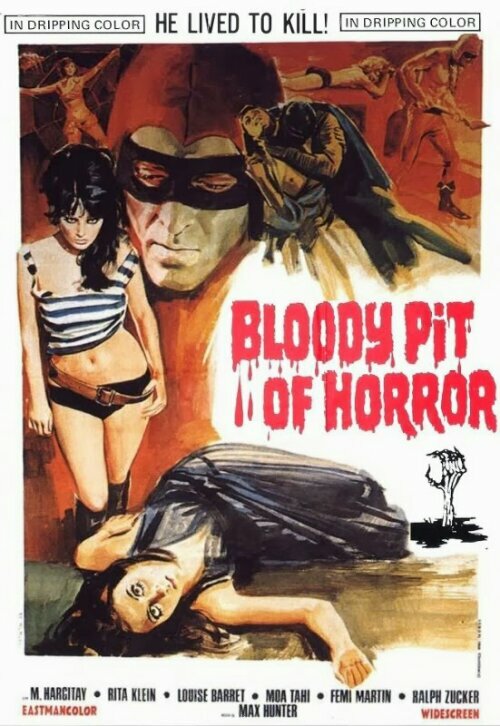 He is remembered by fans of the horror, sci-fi and fantasy genre for his starring roles in The Loves of Hercules (1960), Bloody Pit of Horror (1965), Lady Frankenstein (1971), Delirium (1972), and Rites, Black Magic and Secret Orgies in the Fourteenth Century (1973).